Many growing methods seem like common sense once you're actually aware of them. For example, low-stress training seems like an obvious thing to do once you understand that exposing more of the cannabis plant to light makes for more buds. This week, we're revisiting a topic that many newer growers may be unaware of: The Perpetual Harvest. The idea of the Perpetual Harvest is very simple, so it might not seem like much to go over, but it's one of the best methods of ensuring a steady supply of cannabis when you need it! Is It Possible to Try Perpetual Harvest Without Two Separate Grow Spaces? The Perpetual Harvest ensures a hobbyist grower never runs out of weed! 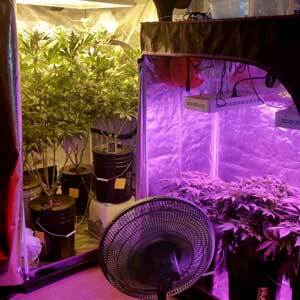 This grower has vegetative plants in the LED tent and flowering plants in the HPS tent. As soon as the flowering plants get harvested, the veg plants get moved over, and the grower starts the next batch! This style of growing ensures a harvest about every two months once it gets going! 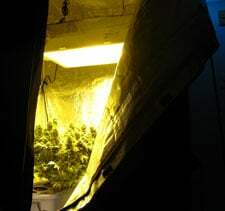 The Perpetual Harvest is a technique in which marijuana growers utilize multiple grow tents/areas to ensure that there are always plants in both the flowering stage and in the vegetative stage. Even the most experienced growers run into problems sometimes. If you lose your flowering or vegetating plants to some unforeseen cause, you still have another set of plants who are already mid-growth! Maybe you already grow your own marijuana, but you sometimes run out of bud. It's happened to me when I've taken too long to start the next grow! 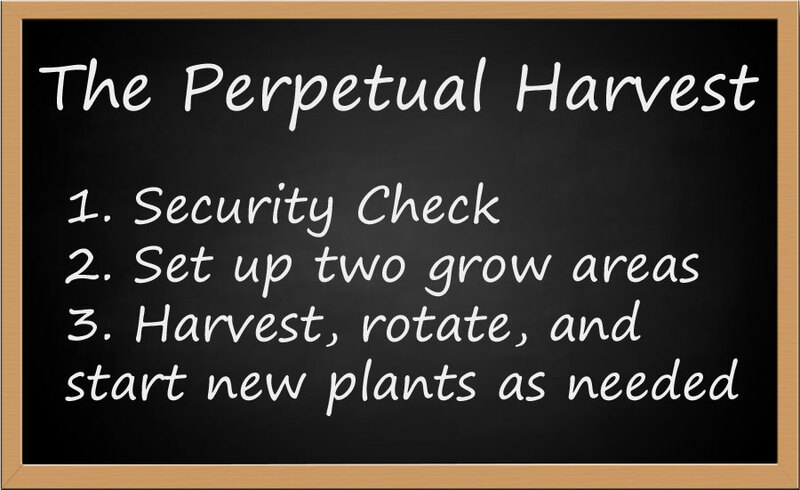 A Perpetual Harvest setup makes sure you're always starting and harvesting new plants on a regular basis. You'll also be prepared in case something happens that makes it difficult or impossible to buy marijuana. Whether the local dispensary closes or your hookup moves away, you usually have no idea your source of cannabis will dry up until it's already happened. A Perpetual Harvest ensures you will never run out of weed no matter what the circumstances! Some growers don't have a lot of space and may split a single space into two parts. For example, this marijuana grower has a tiny vegetative chamber in the lower left, and the flowering chamber is in the middle near the top. 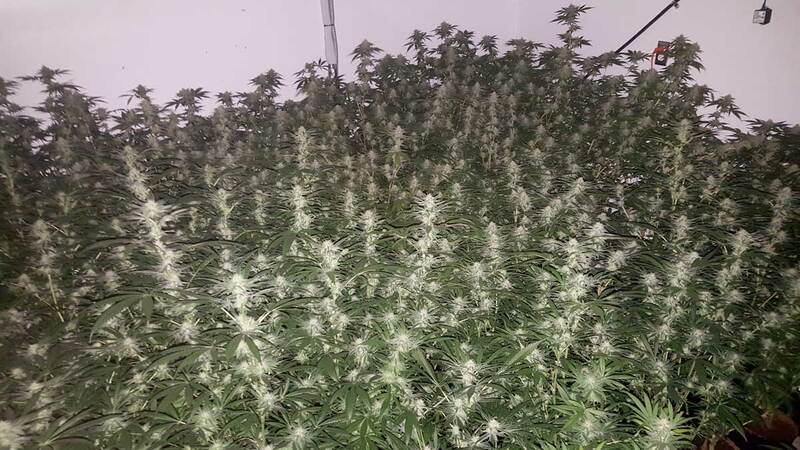 Extensive plant training and the use of a ScrOG net was needed to ensure plants stayed small enough to fit, but as result, the grower is able to harvest more often! 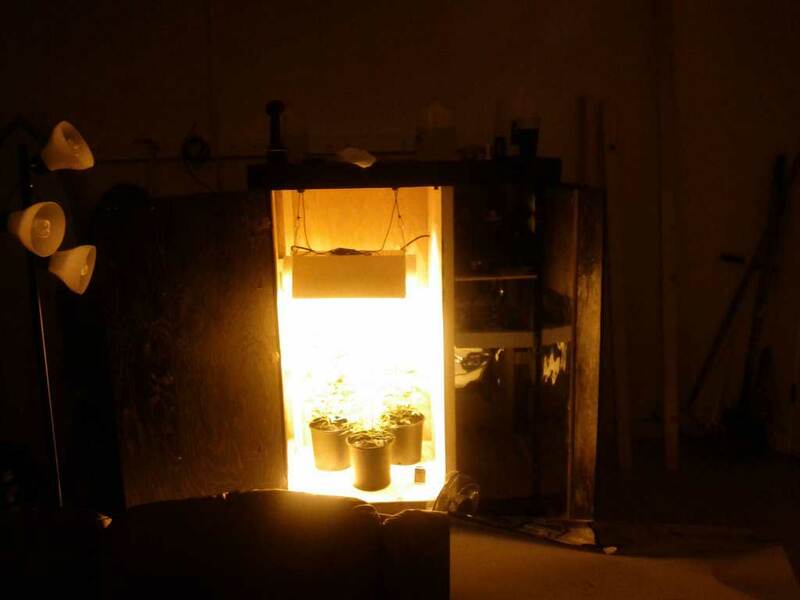 Learn another way to do a "Perpetual Harvest" in a single grow chamber! A Perpetual Harvest can be as big or small as you want. Here's an example of a Perpetual Harvest on a commercial scale. 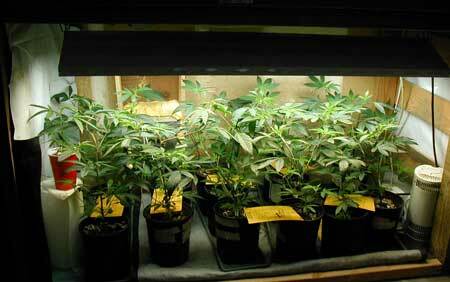 The grower starts out with many young plants under a small grow light. 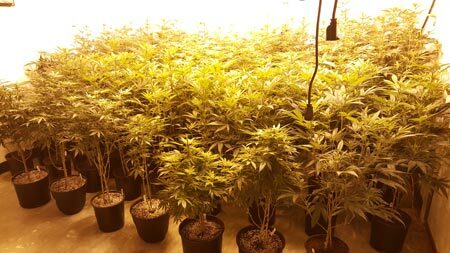 Once cannabis plants reach about half the final desired height, they get moved to the flowering room and put on a 12/12 light schedule. At this point, the grower also starts the next batch of plants. Right as these are being harvested, the next batch is ready to be moved into the flowering room. 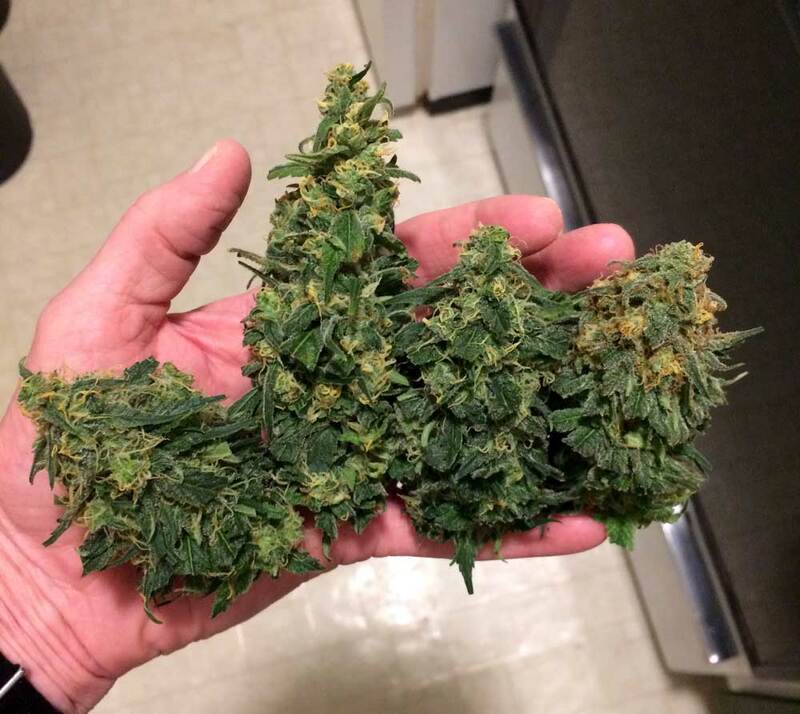 That's how you end up with a cannabis harvest like this every 2 months! Here are those plants in more natural light. Look at all that bud! 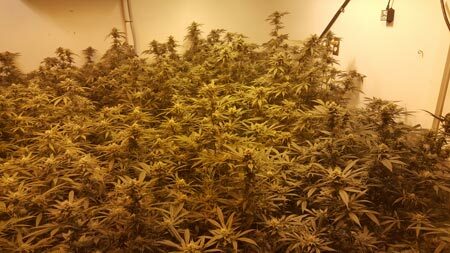 This grow utilized the Sea of Green method (growing many small plants as opposed to a few big ones) which can help grows go faster. 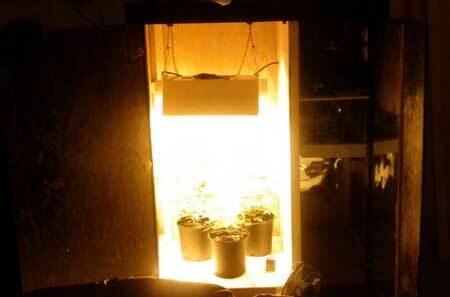 Each set of plants will need it's own grow lights, so you will need two sets of lights that don't share bulbs. The vegetative light can be weaker than the flowering one, as young marijuana plants don't need as much light. 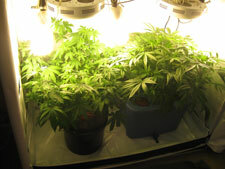 Example: a T5HO fluorescent light or 400W MH vegetative light in one tent, 600W HPS flowering light in the other tent. Learn more about MH and HPS grow lights. You're going to have roughly twice the amount of plants growing, which takes more space and will raise your electricity bill. Just keep in mind that you will also be harvesting bud almost twice as often, too! 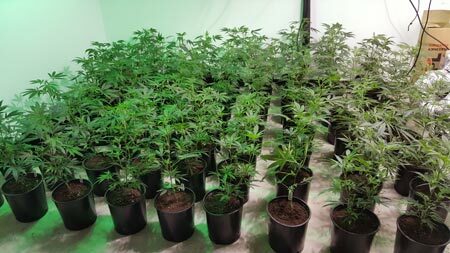 How much money will I spend on electricity during a typical cannabis grow? Although tending two sets of plants is more time-consuming than tending just one, you can get in a rhythm and it is extremely rewarding if you enjoy spending time with your plants! I've also found that I learn more and am able to really dial in the grow tents far better when I'm able to focus on vegetative and flowering tents separately but concurrently. This technique isn't for someone who is looking to harvest an ounce of bud every month or two. If you do a Perpetual Harvest, you will likely end up growing more cannabis than you need. 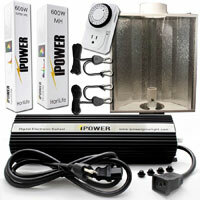 Even with a small flowering light like a 250W HPS, you will end up with multiple ounces a month. But this can be a great time to experiment with things like making edibles, hash, canna caps, cannabis oil, magic butter and other extractions. This will allow you to use all that extra bud but in a way that you still get to keep and use all the "good stuff". Harvest more cannabis than you can use! Alright, we've got the common questions out of the way and you know what you're getting into… let's get started! 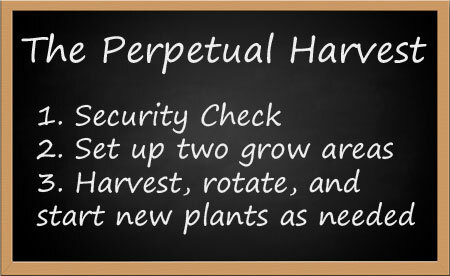 Perpetual harvest means you ALWAYS have weed growing in your house, so you should always be aware of maintaining security. Learn how to NOT get Caught While Growing Weed. 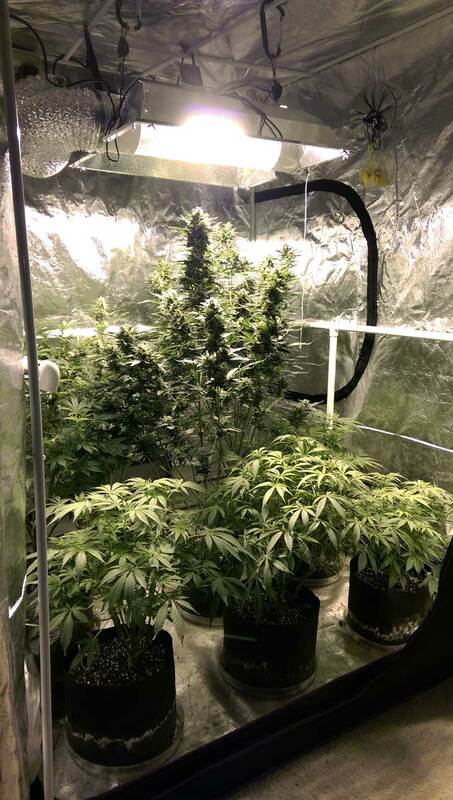 You're going to be using at least two grow areas/tents, so do a walk-around your house and make sure that light doesn't pour out of the windows of the room(s) they're in. Doubling the number of grow areas means you have more area to secure. Where in the house should you grow? 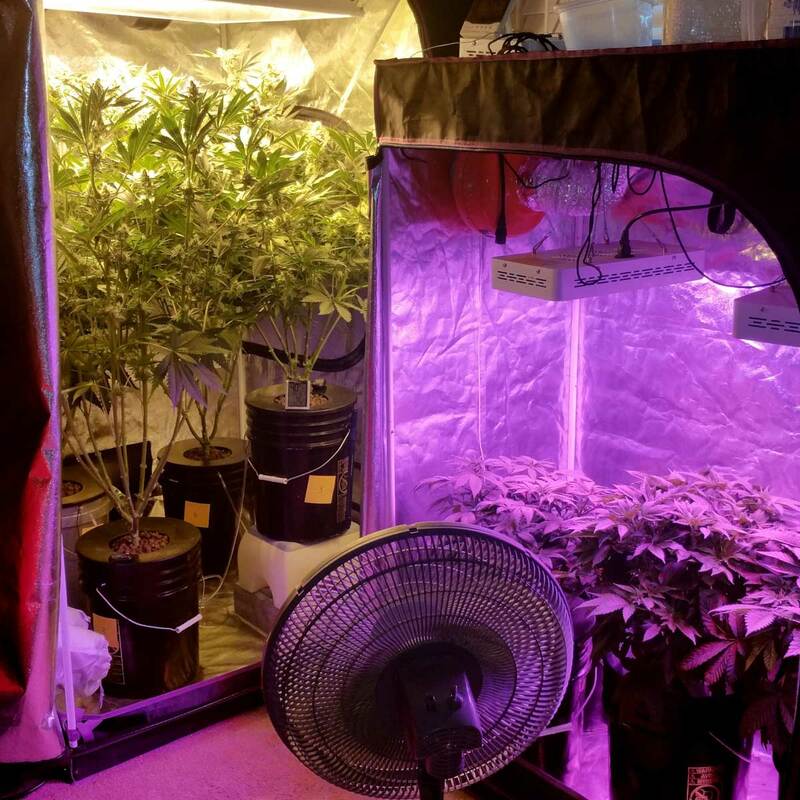 In short, your goal for setup is just to have two copies of your normal grow environment, except that one grow space is configured for vegetative growth and the other is configured for flowering growth. Perpetual harvest requires two grow areas that operate simultaneously, so it's best to have them both set up and ready to use so plants can be switched between them without too much fuss. The vegetative area can be shorter/smaller since the vegetative plants will be smaller. It can also have weaker lights than the flowering area, and watching for light leaks isn't as important since a dark period isn't required for healthy growth. Consider growing many small plants instead of just a few big ones. 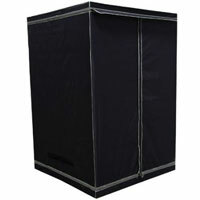 This helps shorten the vegetative stage while still filling up the grow space. Although most plants don't make too much of a smell (if any) in the vegetative stage, it's still a good idea to have the area at least lightly equipped to combat odors. 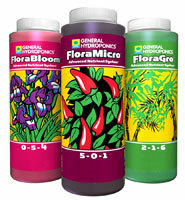 A small carbon filter or even a container of Ona gel in your living space (but not in the tent) should suffice if you notice a slight smell coming from the vegetative plants (just never let Ona gel or other "perfumey" products near your plants in the flowering stage as they can affect the small of your buds!). The flowering area MUST BE LIGHT PROOF so no light is getting in or out. Light leaks can stress out your flowering cannabis plant, prevent buds from forming properly, lead to your plant reverting back to the vegetative stage, or your plant may even turn into a hermaphrodite. You don't want that! Controlling heat is also more important in the flowering stage to get the best growth while avoiding pests, mold, and damage to the buds. Too hot or too cold temperatures can really hurt your yields in the flowering stage. Additionally, very hot temperatures can cause loose buds or foxtails, and can also "burn away" some of the cannabis smell, so it doesn't have as much of an odor after it's done curing. These vegetative cannabis plants were just moved into their flowering chamber. Compared to where they were, this space has a far brighter light and tons of extra room so the plants can get bigger. A big factor in timing the Perpetual Harvest correctly is knowing the growth patterns of the strain(s) you're growing. 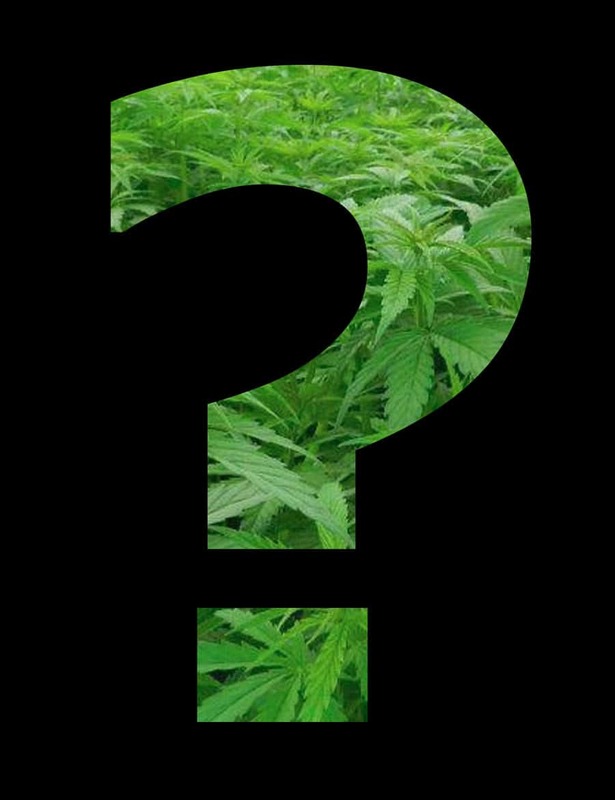 There is a large degree of variation between the flowering cycles of different marijuana strains, and knowing how long your plants need to finish flowering is imperative! Ideally, you want a strain with a short flowering phase so you can be harvesting more often. 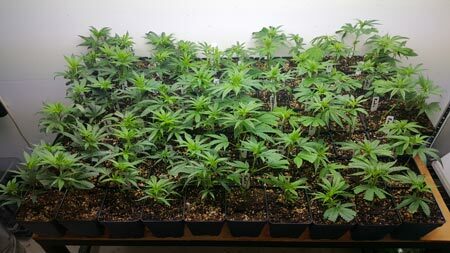 An 8-week flowering stage is a good target since many great strains flower in that time, and 8 weeks is also a good amount of time for a plant to vegetate in a non-DWC/bubbleponics medium. Doing the Perpetual Harvest technique with a long-flowering strain (like many Sativas) is much more difficult due to how much time they will occupy your flowering tent. 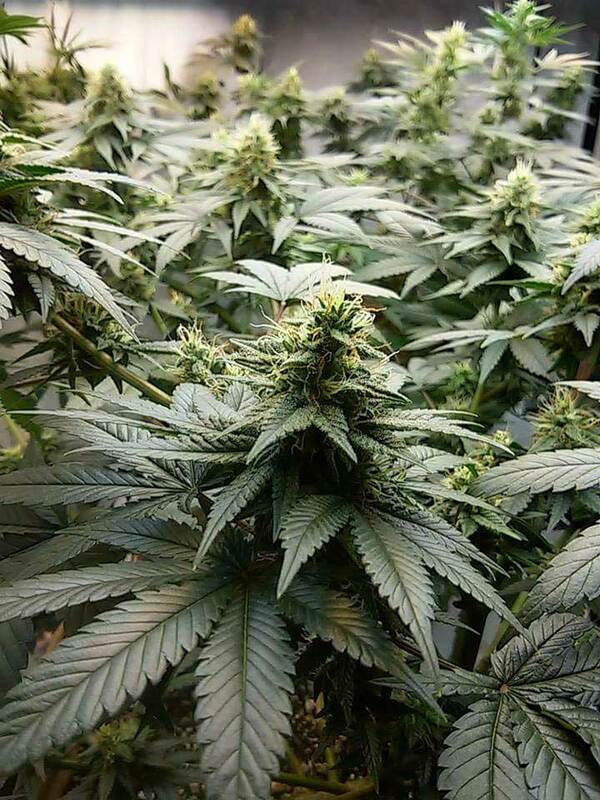 Learn more about growing finicky Sativa strains indoors. Vegging for 8 weeks isn't a requirement of the perpetual harvest, but that time period makes this technique much easier. For growers who want to do this with long-flowering strains, for example, a 12-week strain, you might consider setting up a relatively large space for the vegetative stage so you can partially flower in it. So, for example, after your plants have vegged for 8 weeks, you can put the lights on 12/12 and give them their first 4 weeks of flowering in the "vegetative" space. At that point, you can move them to the flowering tent and they'll have 8 weeks left, and you'll be able to start the next set. In this instance, you'd be harvesting every 12 weeks instead of every 8, but chances are you would be harvesting more bud each time (as long-flowering strains tend to have bigger yields than short-flowering strains). Putting it all together or "I want the shorter version!" I'm not trying to scare you, but it breaks my heart to hear some of the trouble growers get into simply for being caught with a plant. Read 7 rules you must follow if you want to grow weed and never get caught. Get seeds or clones of a strain with an approximate 8-week flowering period. 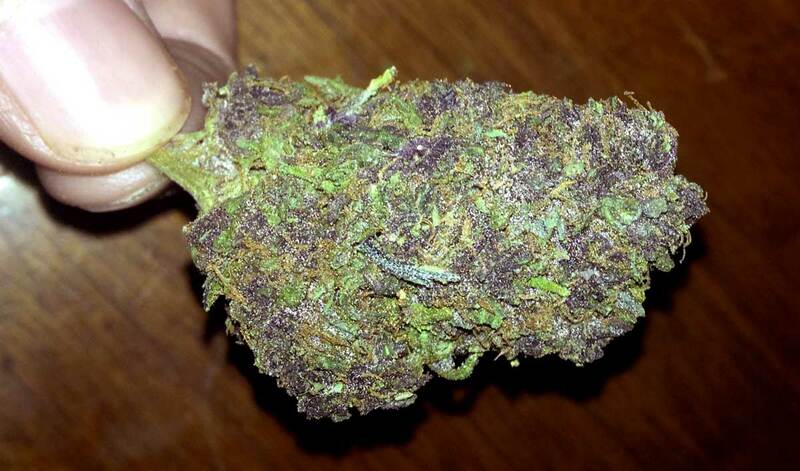 Learn how to find the right strain. Don't worry if flowering goes a couple weeks longer than you anticipated. Cannabis plants can be kept in the vegetative stage as long as needed (except for auto-flowering strains), and with proper LST the extra growth won't be a problem. You can also start flowering your vegetative plants in their old home, and move to the flowering tent as soon as the last batch gets harvested. That's it! Are you ready to start harvesting buds every 8 weeks? Want to Try Perpetual Harvest but Only Have One Grow Space? 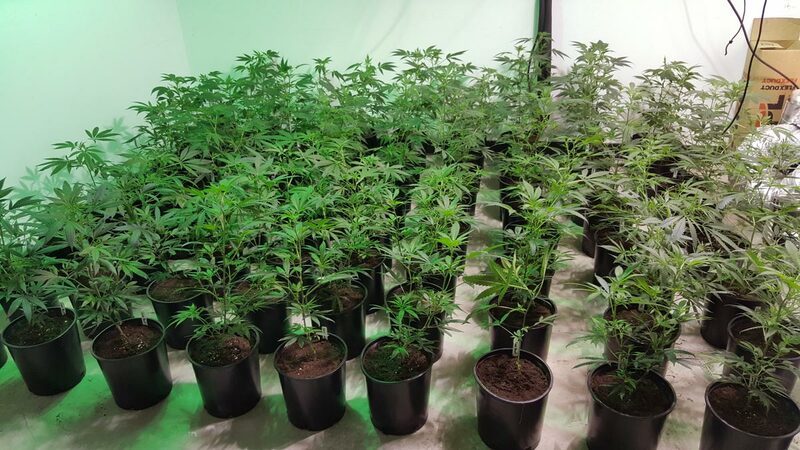 Although some growers will take a single grow space and section it off into two chambers, that's not the only way to perpetually grow out of a shared space. Growing with auto-flowering strains can be set up like a Perpetual Harvest on "Training Wheels". Since auto-flowering plants don't need special light periods to start making flowers, you can have auto-flowering plants at different stages of life in the same tent at the same time! This eliminates the need to separate your plants at all! Consider Growing Many Auto-Flowering Strains in a Single Grow Tent for a Perpetual Harvest on "Training Wheels". 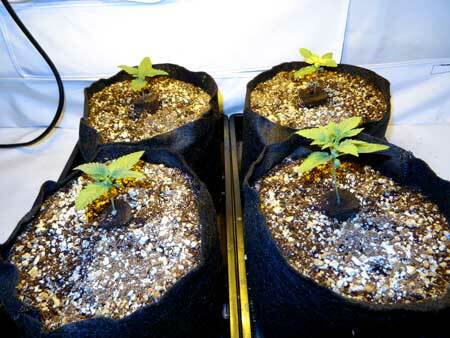 Just start a few auto-flowering seeds every month or two and stick them in your tent! Growing with auto-flowering strains in this way means you can germinate new seeds every 1-2 months, and you'll end up harvesting that often, too! Autos can be a great way to get many different strains on a regular basis since they tend to stay small, enabling you can grow a lot of plants at the same time! 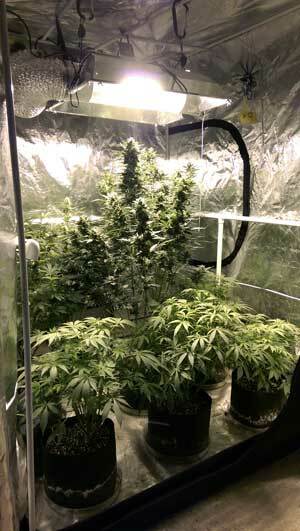 Here's an example of an Auto-Flowering "Perpetual Harvest". Notice that the left back auto-flowering White Widow XXL plant is close to harvest, the plant next to it has a few more weeks to go, while the auto-flowering plants in the front are just getting started! Since auto-flowering plants don't need special light schedules, you can keep plants of all states of life together in the same grow tent! If desired, this grower could even raise the smaller plants up so they're closer to the light to help them grow a little faster. Instead of coordinating between life stages and between tents, the problem becomes trying to keep all the plants the right distance from the light since some plants will be much taller or shorter than others at different stages of light. Using buckets or some other object to raise the smaller plants so they are always the correct distance from the grow light. Keep younger plants that need less light around the edges of the tent, and move them closer to the center as they start flowering and need the highest levels of light for bud production. Although not a "true" Perpetual Harvest setup, you will still end up with unlimited weed and be able to harvest as often as you want! Modern auto-flowering strains have potency that rivals traditional photoperiod strains, and many new cannabis growers find growing auto-flowering plants can make things a little easier because you don't have to worry about light schedules. 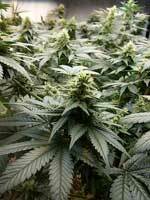 Learn more about growing cannabis with auto-flowering strains! The right equipment will make the job much easier, which is worth quite a bit when paired with a higher-demand technique such as the perpetual harvest. Nutrients: You'll be going through nutrients twice as fast with this method.